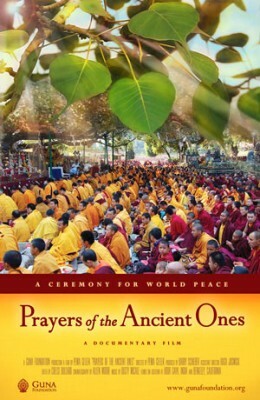 The film chronicles the story of the World Peace Ceremony founded by Tarthang Tulku Rinpoche in 1989, an annual event that has united the Tibetan Nyingma community, the most ancient of the four schools of Tibetan Buddhism. Here at the ceremony, Tarthang Tulku has led one of the world’s largest efforts to preserve the Tibetan culture through his monumental offerings of Tibetan sacred texts and art. And through their unceasing prayers for peace at the very source of their spiritual tradition, the Tibetans have helped revitalize a long dormant place of worship and reinvigorated their culture in the most critical time of their history. This is the story of a sacred place, an exiled people and a Tibetan lama’s immense efforts to restore Tibetan culture. Prayers of the Ancient Ones is a majestic testament to the beauty and power of working from one’s highest aspirations for the benefit of all beings.